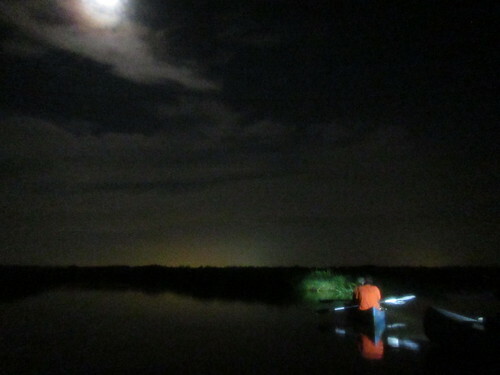 PaddleBR and the Bayou Manchac Group are doing another moonlight paddle this Saturday, September 6th! If it’s anything like last month’s, it’d be a shame to miss it. We will meet at Alligator Bayou and Bayou Manchac, approximate address 35015 Alligator Bayou Rd, Prairieville, Louisiana 70769, at 7pm for a 7:30pm departure. 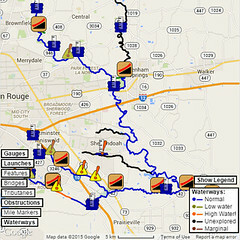 From there, we will paddle down Bayou Manchac for about five miles to an exit point on Camp Drive in Prairieville, estimated arrival time 10:30pm (or so). Parking at Alligator Bayou is $5. Bring an envelope with your vehicle’s make, model, and license plate number to put in the slot. Details from the Bayou Manchac Group’s facebook event listing.